Indigenous to Africa, the Puff Adder is a particularly deadly viper, among the most dangerous venomous snakes in the world. 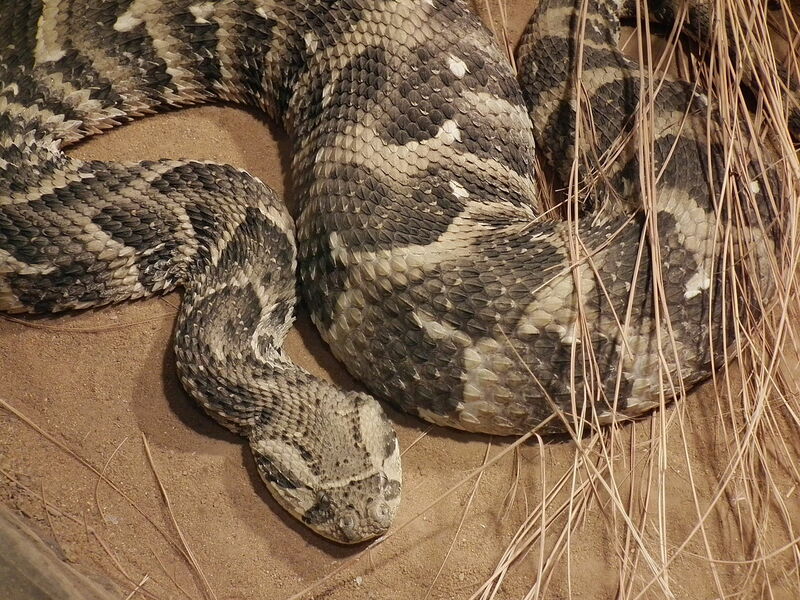 This raises the question: should anyone who can afford it, be allowed to buy a Puff Adder? The Elephant in the Living Room (2011) examines this idea & many more, documenting the subculture of owning exotic & dangerous animals as pets. The film’s premise is the ubiquity of this phenomenon, in that it is much more common than the layperson would presume. One point that is made clear is that this is a completely unregulated industry; exotic pet ownership is allowed in 30 states, 9 of which require no license or permit whatsoever. More documentation is required to own a domestic cat or dog; than a lion, tiger or bear in these states. Filmmaker Michael Webber takes the viewer deep inside this sick and sometimes fascinating world, infiltrating buy & sell shows, auctions, and trade magazines that traffic dangerous animals as commodities. 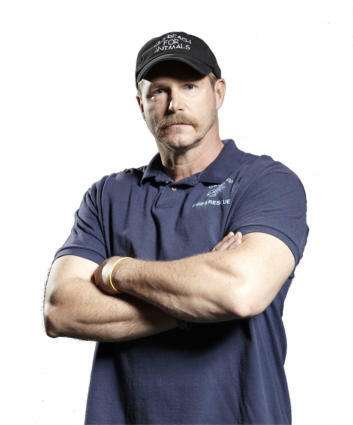 On the front-line, dealing with the metastasized consequences of this black-market industry is Tim Harrison; an Ohio police officer/firefighter/paramedic with extensive training in handling, removing and re-capturing wild species. He works at Outreach for Animals’ national headquarters in Dayton, OH. you don’t need to go to Africa to see a gaboon viper. You go to anytown, USA; those animals are here. A narrative develops between Harrison and Terry Brumfield, who is clinically disabled, depressed and on medication, and happens to own two African lions in Piketon, OH. Tim is called in after the male escapes, and threatens motorists inside their vehicles, causing havoc on a nearby highway. Terry admits in a local television news interview that his lion jumped out of the pen, and that he didn’t pursue it, but instead gave it up for dead. It is not discussed whether he notified the authorities as a public service. Often this doesn’t happen, presumably to duck liability. The lion is returned to Terry, and the male & female are now kept in a horse trailer to prevent another breakout, as the owner doesn’t have an adequately-safe permanent facility for his lions. After months of confinement, the lions become listless, and Terry calls Tim Harrison for expert help. Harrison arrives and relieves the owner’s concerns by noticing there are four new cubs. This is a great surprise to Terry, and the two rejoice the birth. Terry feels validated by this and ponders placing this fresh bounty to good owners. Reality turns out differently, as two of the cubs along with the adult male, die before the pride’s survivors are relocated by Harrison and his ‘A-Team’ to a confined nature preserve out west. Tim Harrison, the film’s hero, is thoughtful and measured in his words & actions. One gets a sense that he is fighting an unwinnable battle against ignorance & the pathos/hubris of people who insist on the right to “own” wild animals. A brief clip of a Nevada husband & wife who are the leaders of Responsible Exotic Animal Ownership (Rexano), reveals deep psychological defects in their reasoning and ethics. Other defenders of this practice come off as mentally ill, mostly in their disturbing ability to ignore any consideration of the animal’s perspective. It is a common trait for these people to humanize their “pets”, as if that were possible with a hyena or reptile! Harrison is cast a resourceful individual, who is being given very few tools for dealing with this epidemic. He has little-to-no legal clout for removing dangerous animals from unfit/untrained owners, who insist on keeping them. Basically, the owner has to voluntarily give up his “pet.” This usually only happens when the animal becomes unmanageable for the owner, leaving Outreach for Animals and similar-type organizations overrun with mature dangerous animals their “owners” don’t want anymore. Many of these species are not indigenous to the US, or the region in which they are captured. Most are euthanized if the owner doesn’t claim the animal. 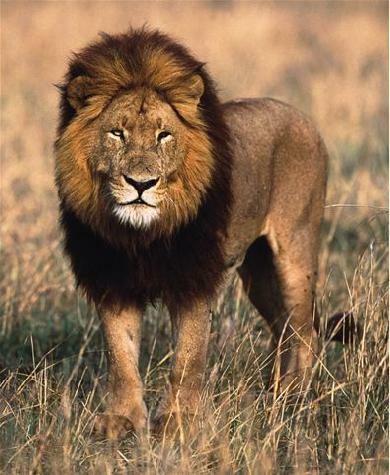 When discussing the issues involved in convincing Terry to give up his lions, Harrison frankly states, “The lions aren’t going anywhere, because he hasn’t broken any laws.” This is because there are no consumer and public safety laws in Ohio (or federally), regarding purchasing & maintaining exotic pets. Tim Harrison characterizes his relationship with Brumfield as a sympathetic one. It’s the one he prefers, which is trying to help someone in need as well as benefiting the captive animals. For those who are willing to listen and accept his expertise; he helps them. To those who resist Harrison’s advise (and measure of the law), he lists them as problems that need to be taken out, for the safety of the public and the animals. The film lives at edge where individual rights end, and public interest in its safety begins. The film notes there are an estimated 15,000 exotic cats in households in the US; and an estimated 7.3 million reptiles. There is a section in the film where we are shown a dead tiger, found in a field outside of Dallas, TX. An autopsy proved the tiger to be perfectly healthy, its cause of death was five shots to the face with a .45 handgun at close range. The film points out that there are more tigers living in homes in Texas, than there are in the wild of India where they are native. The film then whisks to the Everglades where the Burmese python, one of the five largest snakes in the world, has now taken over large areas of the swamp due to owners releasing them into the wild. 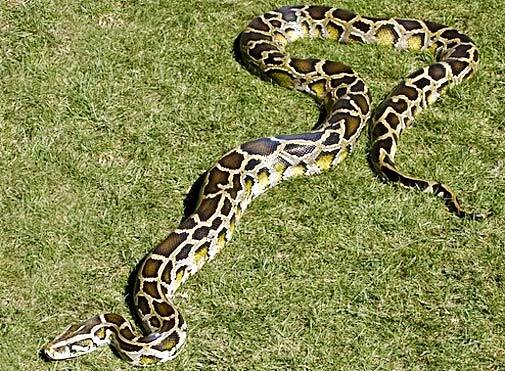 The national park rangers now consider it a hopeless task to eradicate the invasive pythons, which are thriving in an ecological niche they have carved out for themselves. A study regarding the impact of Burmese pythons in the Everglades, published in late 2011, asserts that populations of mid-size mammals such as raccoons, opossums and rabbits, all native to South Florida, have declined as the number of Burmese pythons has increased. Paholka has been back & forth to Africa, directing medical facilities and providing outreach missionary services for 25 years. His position is clear: it is too dangerous to neighbours & communities to allow exotic pet ownership. Ethically, his feelings of anger, sadness, and disgust over the consequences of this culture are too correct to ignore. Harrison cites an overnight 20+ times increase in the number of call-outs to retrieve tigers, lions, snakes, alligators, and other dangerous-to-man predator species, starting in the 1990’s. He points to the nascent reality-TV boom of that era as a correlative. An underground exotic pet industry followed on the coattails of the Discovery Channel and Animal Planet, and their hit shows such as The Crocodile Hunter. 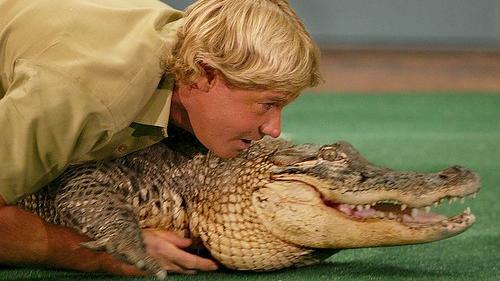 The star of Crocodile Hunter was celebrity animal trainer Steve Irwin; who specialized in educating the public with his sensationalistic style, that can be accurately described as showboating while enticing and/or molesting dangerous wild animals. Without questioning the ethics, it had undeniable entertainment value and therefore became a huge cultural and ratings hit. The end came for Irwin on September 4, 2006 when he was killed at the age of 44 while snorkelling on the Great Barrier Reef. He was filming a documentary Ocean’s Deadliest (2007), in shallow water when he approached a stingray. The fish suddenly turned and pierced him in the chest with its tail spine, in what appeared to have been the stingray’s defensive response to being boxed in. Irwin was rushed to shore, but medical staff pronounced him dead at the scene. Michael Webber has directed a masterpiece in documentary film-making with The Elephant in the Living Room. In it, he penetrated this relatively-unseen world, and let the characters & images create the story. The people in this film are human, not caricatures, with all their complexities. The animals are glorious to behold, and are always filmed with respect. All this is weaved together with a compelling story and important message, making Webber’s documentary a triumph of independent thinking.